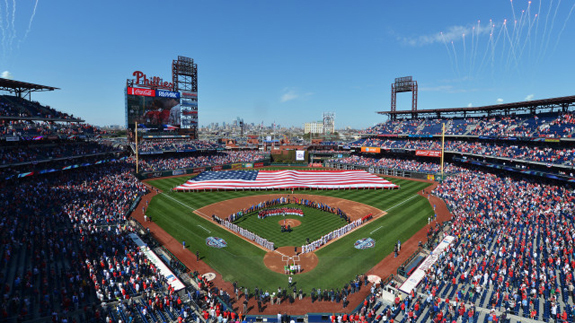 April 11, 2016 - Updated: 1:45 p.m.
PHILADELPHIA - The Phillies open the home portion of the 2016 campaign this afternoon with a contest against the Padres. Despite dropping the first three games of their season opening road trip in Cincinnati, the Phillies won two-of-three in New York against the Mets. Today's start will mark Nola's seventh at Citizens Bank Park. Through today, the righty is 3-1 with a 3.34 ERA while pitching at home. Through the first week of the season, Phillies' starters have posted a combined 2.97 ERA and have allowed fewer than two runs in five of their six starts.